The New Hampshire Historical Society's gallery space. 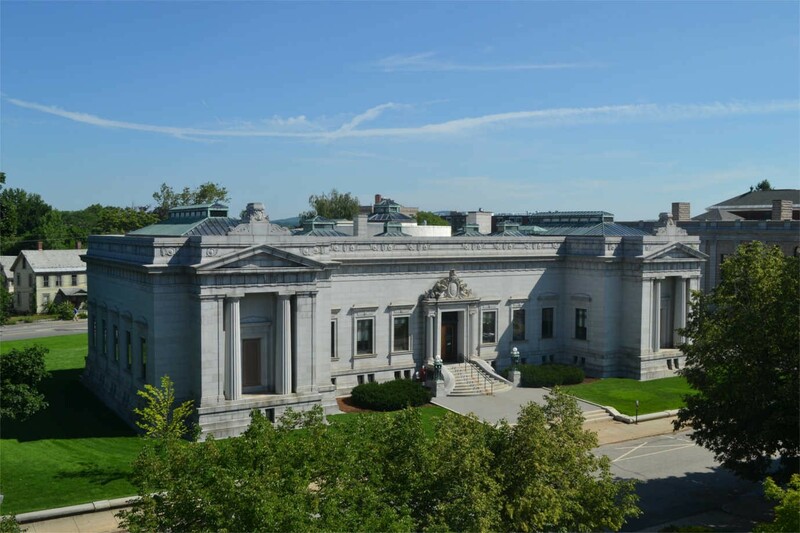 NEH-supported renovations to the New Hampshire Historical Society’s building have helped the organization ensure that the collection is preserved and sustained and that the building is accessible to all. Image courtesy of the society. Since 1983, the NEH has supported the New Hampshire Historical Society in preserving historical collections and providing broad public access to the state’s history. It has provided funding to develop and implement exhibitions on New Hampshire tools and toolmakers, taverns and turnpikes, and other thematic subjects relevant to the state. 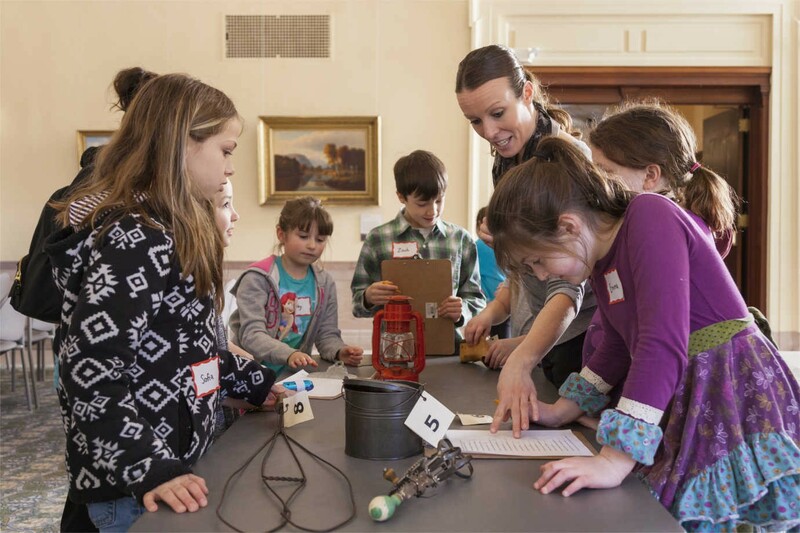 NEH challenge grants, which helped the New Hampshire Historical Society raise more than $2.6 million, have helped the organization protect its collection, ensure its economic and environmental sustainability, and provide educational programming to children throughout the state. A school group participates in an educational program at the New Hampshire Historical Society. An NEH challenge grant helped the society establish an endowment that supports this programming. Image courtesy of the society. Students participate in a school program at the New Hampshire Historical Society. The New Hampshire Historical Society hosts between 10,000 and 15,000 students per year. Image courtesy of the society. 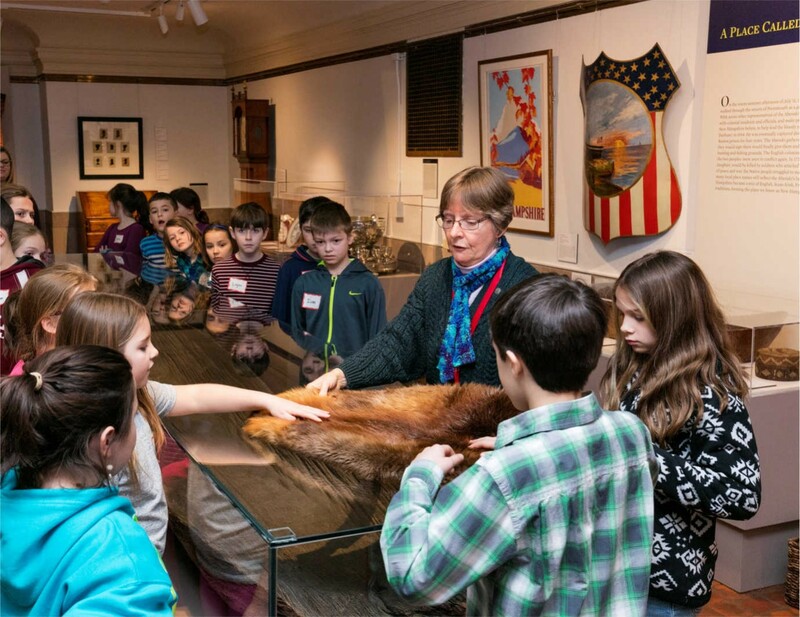 With an endowment that was initially supported by the NEH, the New Hampshire Historical Society hosts between 10,000 and 15,000 students per year, including 70% of the state’s fourth graders. The Society provides a range of educational programming with its staff of six museum educators. In addition to field trip programs, the society offers homeschool days and traveling programs, through which museum educators visit schools throughout the state. All of the programs provide opportunities for children to learn the history of their state while encountering historical artifacts. The New Hampshire Historical Society's historic building. Image courtesy of the society. NEH-supported renovations to the New Hampshire Historical Society’s building have helped the organization ensure that the collection is preserved and sustained and that the building is accessible to all. Built in 1911, the society’s building is listed on the National Register of Historic Places. While a treasure in itself, the building’s age has presented the society with a number challenges. In the 1990s, the NEH helped the society make the building ADA compliant—this involved moving walls and adding elevators and ramps. At the same time, the society renovated the reading room and auditorium to more precise historical standards, replicating the building’s appearance when it was first dedicated. More recently, an NEH grant has helped the society improve the energy efficiency of its building while bringing UV light and humidity under control. In addition to creating a better environment for historic collections, this renovation has significantly lowered the society’s operating costs: they are spending 70% less on heating and cooling each year.